Warm up these creatures and their food as you place yours on this Horse with Wheat Trivet. Profiles of stallions merge together in the middle of this dish as interweaving stalks of wheat surround them. 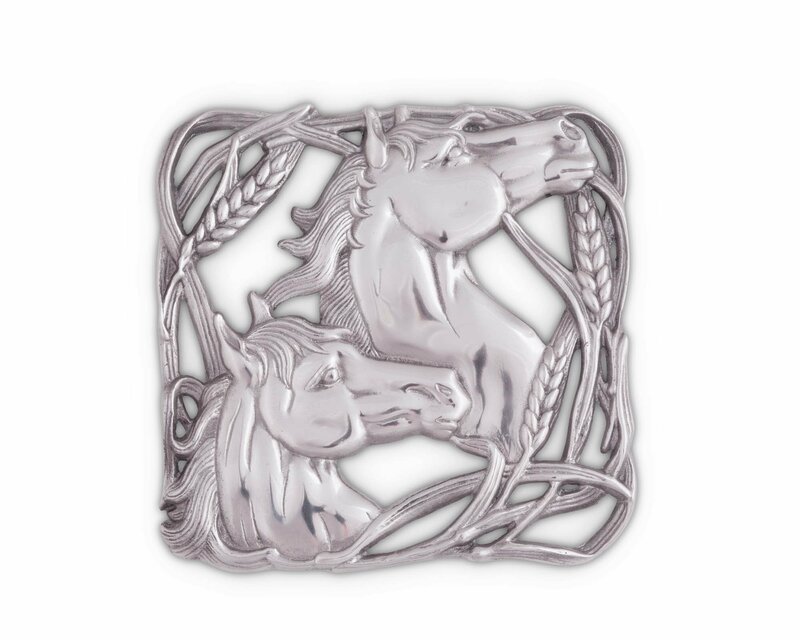 The striking detail in the horses' neck and face muscles gives this handmade, aluminum trivet a lifelike appeal.